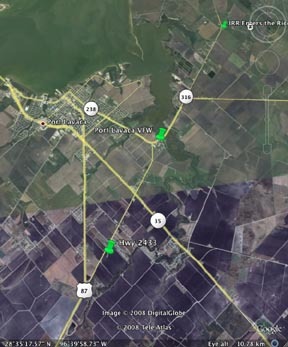 Today, where Hwy 87 turns toward Port Lavaca, near the area known as Sweetwater (or Clark's Station), the Indianola Railroad connected to the San Antonio and Mexican Gulf Raiload. Heading south, the train bed continued in a straight path along what is now Hwy 2433. The train bed continued straight ahead, passing to the west of the VFW building. 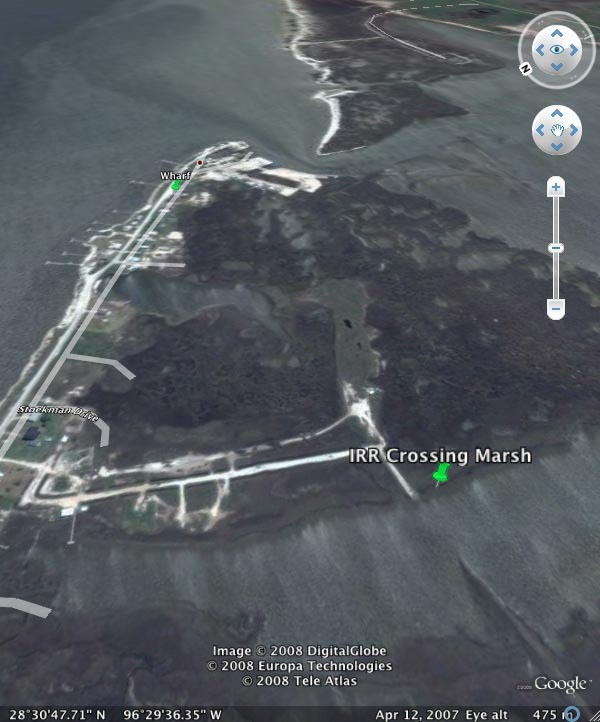 It then crossed over Chocolate Bayou and continued along current Hwy 316 toward Indianola. 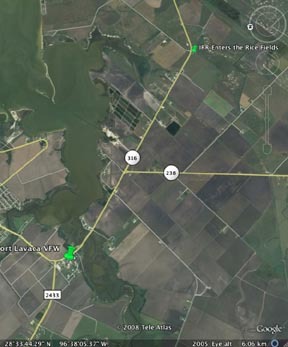 Near the road to Alamo Beach, Hwy 316 turns to the left. Here the train bed continues straight ahead through farmand ranch land. In some fields where it crosses this area the bed is still evident as a slightly elevated lighter colored mound. The track bed makes a gradual turn to Indianola. 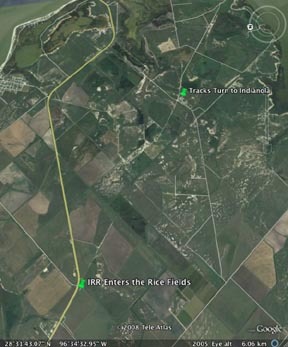 A road used by rice farmers in Calhoun County sits on top of the old track bed. Track hardware can be found along this section on top of the ground. When the train exited the curve it was headed straight to the Indianola business district. Powderhorn Lake is to the right. This part of the train route passes near the Indianola Cemetery. 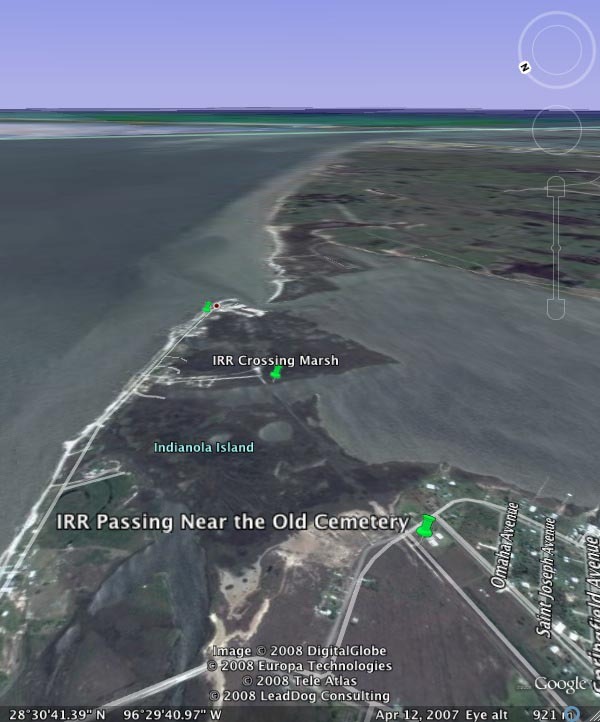 The cemetery would be on the left as the train would begin to slow on its approach to Indianola. The train bed through this area today is along "I Love Lucy" road. This frame shows the road bed crossing a very swampy area today including a portion of Powderhorn Lake. As the train entered the western side of the town the tracks turned toward the bay and the long Morgan wharf located there at the foot of Travis St. 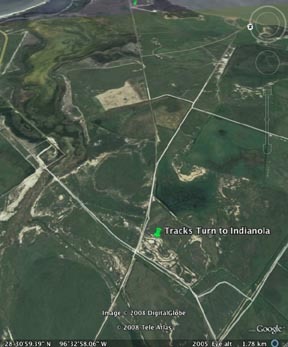 The Indianola Railroad Company was chartered in 1858 to build a railroad from Indianola to Austin. 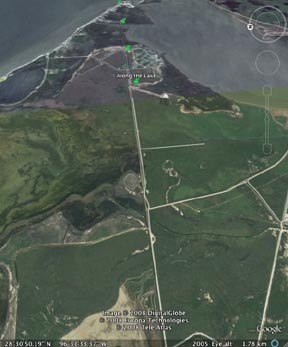 The state required it to connect to the San Antonio & Mexican Gulf (SA&MG) tracks at Clark's Station about 5 miles from Port Lavaca. At the start of the Civil War the roadbed from Indianola to Clark's Station had been surveyed and graded but no tracks had been laid. The ties were ordered to be destroyed to keep them from falling into Union hands. The tracks of the SA&MG were rendered useless by Confederate forces in the area. The line to Indianola was completed in May 1871. 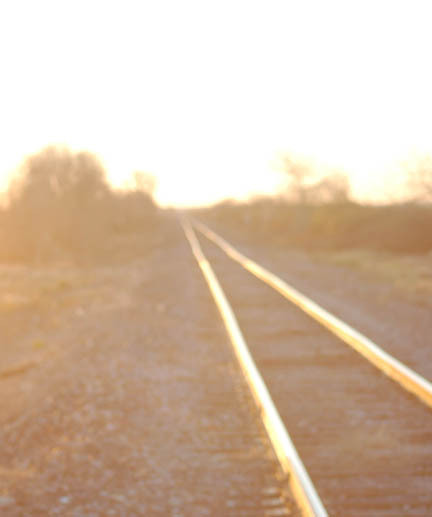 The final train from Cuero to Indianola ran on June 18, 1887. Copyright 2006-2009 - IndianolaTx.com - All rights reserved.